Creating more personalized web experiences is vital to growing revenue, especially for large enterprises. This means the number of marketing technologies to vet, deploy and manipulate keeps growing. The volume of tags and websites to manage is exploding. And the pressure to optimize everything is relentless. 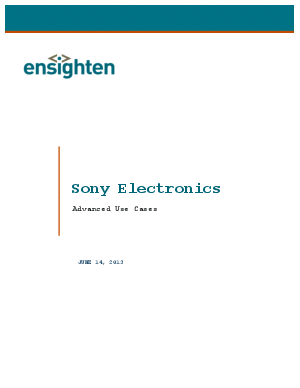 In this use case, see how Sony Electronics uses Ensighten to improve website performance, reduce customer acquisition cost and improve customer retention and conversion rates through site personalization.